As you can see, there area many different herbal teas that you can use in addition or instead of the main players such as the ones I mentioned in the beginning. Each tea has its own benefits and can provide you with a different set of feelings that accompany it. Technically none of these books are actually novels.. lol, but you get the point. And while you’re on YouTube, make sure to subscribe to my channel as well! I’ll leave you with a video I made last year about 5 Quick Ways to Relieve Stress. Do you agree with these ideas or disagree? 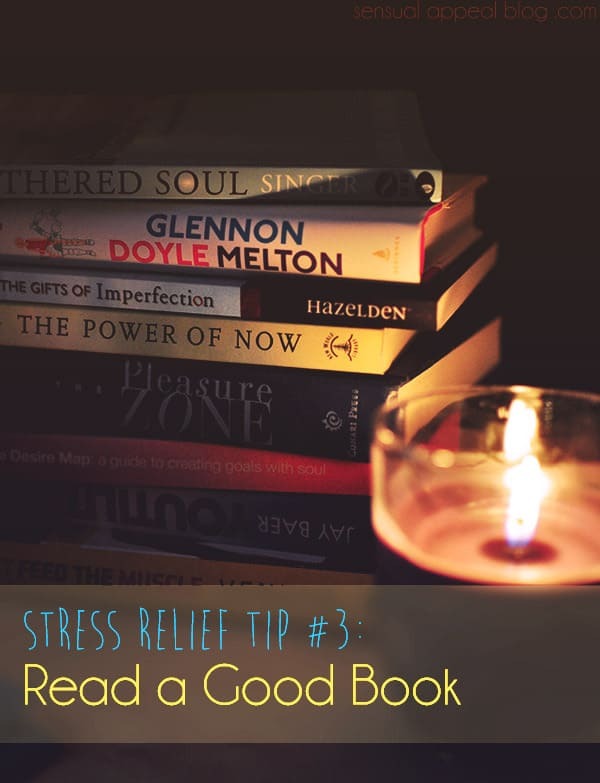 What are some of YOUR favorite stress relief tips? I saw this post on Modern Alternative Mama’s challenge. Great post. I agree with all of these althouhg I haven’t done any meditating yet but I guess I really should start..
You are so pretty! Great video and awesome article with actionable tips. A good workout is always my go to for stress relief. I wish I liked drinking tea more. That definitely can be relaxing. Ah you don’t like tea? :/ Darn! Haha. What’s your favorite hot beverage? I wish I could get into the tea habit. I like reading — and definitely prefer fiction for relaxing. I would definitely have to say that lighting a candle is my best form of stress relief. There’s just something so entrancing and meditative about it. The rest of your ideas I agree with! Especially hot tea. I don’t LOVE tea, but once in awhile it’s exactly what I need after a hard day. Yes, I love candles! 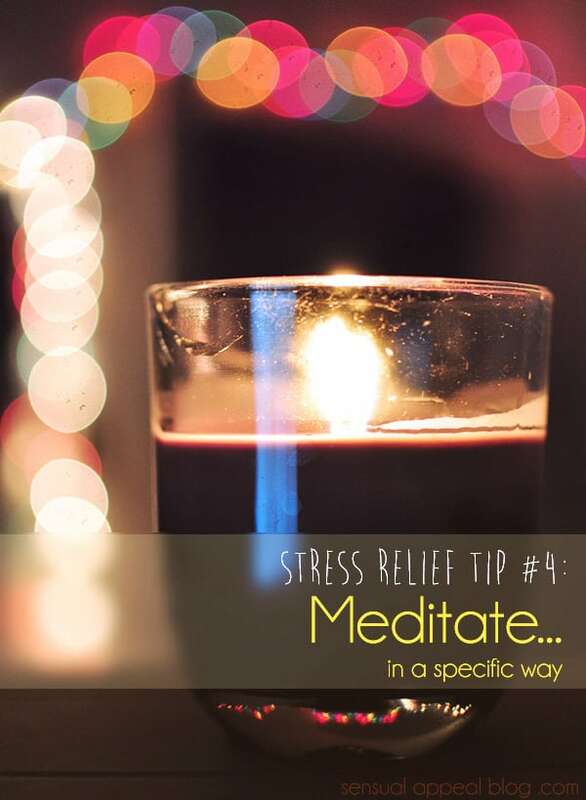 As soon as you light one, it seems like something magical happens and worries seem that much farther away and stresses seem to melt. It’s truly amazing. 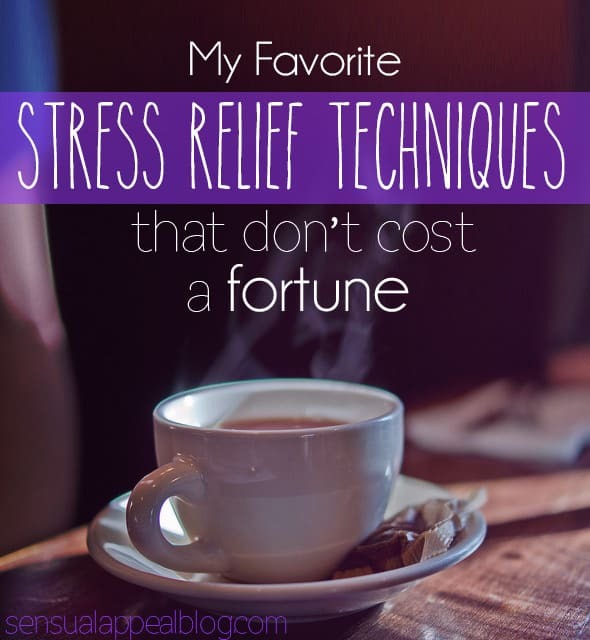 I love having things stress-relieve me! Everything you said sounds so pleasant right now!! !